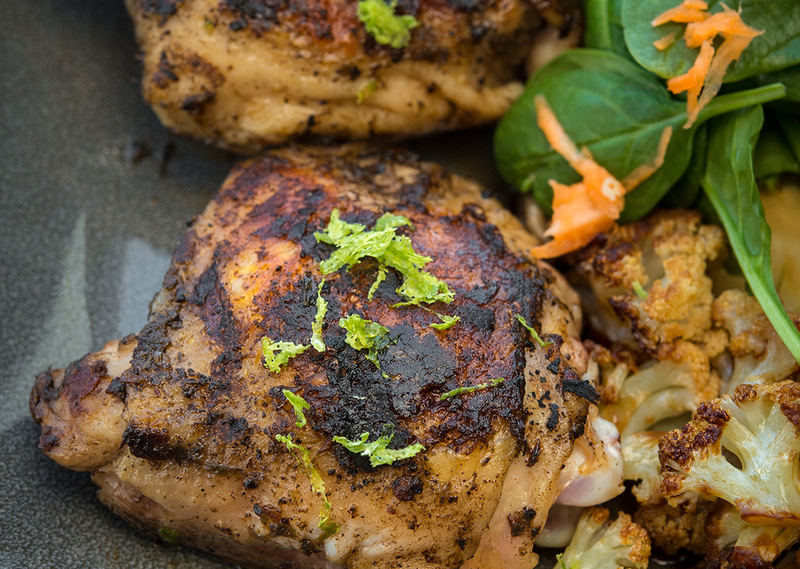 These Jerk Chicken Thighs have just the right amount of spice. Serve with a side salad. In small bowl, mix together all spices and season both sides of chicken thighs with mixture. 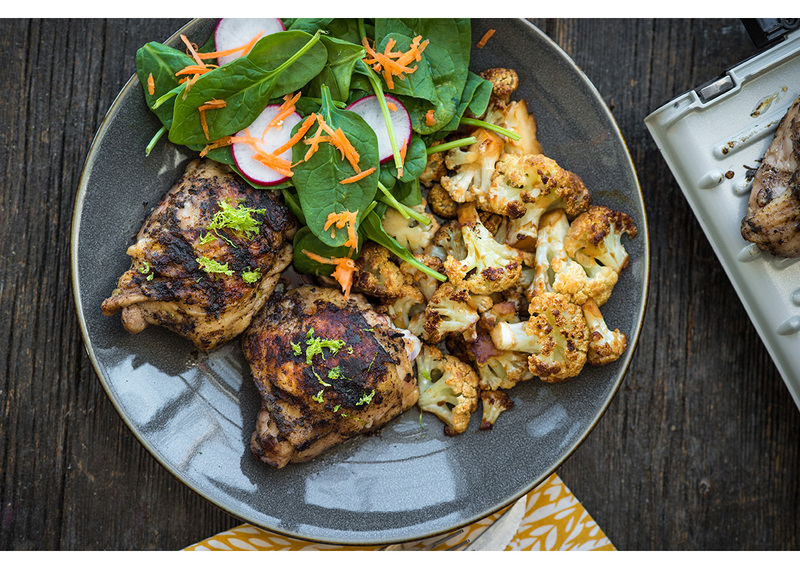 Place chicken thighs on preheated grill and grill for 15-17 minutes, or until chicken reaches internal temperature of 170°F. Remove from grill and allow thighs to rest for about 5 minutes before slicing and serving.